Hello friends! I hope your break went splendid and the first week of classes was exciting! 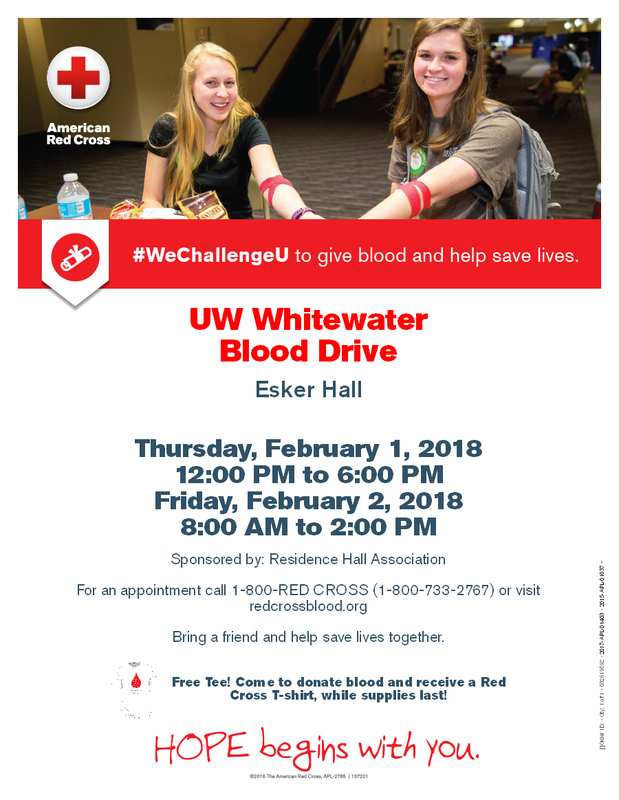 I would like to take a minute out of your day to promote an upcoming blood drive sponsored by the Residence Hall Association! It will take place February 1st and 2nd, and has a few awesome incentives in store. Every donor will receive a free t-shirt, juice, and cookies, and will leave knowing that they made a difference. Continue reading if you’d like specific details (that can also be found on the poster)! If you have ANY questions, please feel free to contact anyone on the RHA executive board!